Bayer has recently announced they will remove Essure from the market, but my doctor has just recommended Essure as permanent birth control since it will be available until the end of the year… what should I know? Let’s start with the basics. Essure is a permanent birth control procedure, where two metal spring-like devices made of nickel, titanium, stainless steel, and PET fibers, are placed into each fallopian tube. Essure causes a chronic inflammatory response to induce scar tissue to grow and thus close off the tubes. Over a period of about three months, scar tissue forms around the inserts. The buildup of tissue is supposed to create a barrier that keeps sperm from reaching the eggs and prevents conception. These two devices are meant to stay in your fallopian tubes permanently, for life. It is crucial that you know that as of July 20, 2018, Bayer, its manufacturer, has announced that it will be removing Essure from the American market, and that after December 31, 2018, it will no longer sell or distribute the product in the country. Bayer is continuing to sell Essure until then, and clinicians who have the device in stock may continue to offer it to women even after that deadline. The United States is the last country where Essure is being sold. The announcement came after thousands of complaints from women patients since the product hit the market in 2002, and after years of patient activists and patient safety organizations fighting against the device and Bayer (it also came just days before a documentary exposing Essure’s dangerous effects is scheduled to be released on Netflix). You should know that a black box warning label was only added to the device in 2016, which reads: Some patients implanted with the Essure System for Permanent Birth Control have experienced and/or reported adverse events, including perforation of the uterus and/or fallopian tubes, identifications of inserts in the abdominal cavity, persistent pain, and suspected allergic or hypersensitivity reactions. If the device needs to be removed to address such an adverse event, a surgical procedure will be required. Women have reported pelvic pain, headaches, back pain, joint pain, allergy, and autoimmune responses, to name just a few issues. There doesn’t seem to be any enforcement in place checking to see if physicians are advising patients of the black box warning or filling out the checklist. There also has not been a formal letter to physicians regarding the newly mandated requirements, nor new advertising materials that include the new warnings. Lastly, data captured by Device Events indicates that over 18,000 adverse event reports for Essure reference device removal surgery, a sign that many women have had such a bad experience with Essure that they went through another surgery to have it removed. Although many women have reported that their removal surgery was a success, and relieved their symptoms, —you should know that there is no formal removal protocol in place for Essure, which makes it difficult for women and their doctors to know what is the best approach to removal. There are also currently over 16,0000 lawsuits alleging harm caused by Essure. There are serious concerns regarding the approval process of the device along with the post-approval studies, and a current study ordered by the FDA. Patient activist groups, such as the Essure Problems Facebook group, have created platforms for support and education. Before making your decision, you should consult your doctor and make sure to ask a lot of questions, such as… Why are you recommending this product after Bayer has announced pulling it from the market? How many of these procedures have you done? Do you have a copy of the current patient checklist we are mandated to review and the black box warning we can discuss? What is your failure rate in placing Essure correctly in one attempt? Do you use general anesthesia to place Essure, or will I be awake the entire time? Have you ever removed essure? If so, how? You can learn more about Essure on the manufacturer’s website at http://www.essure.com/. 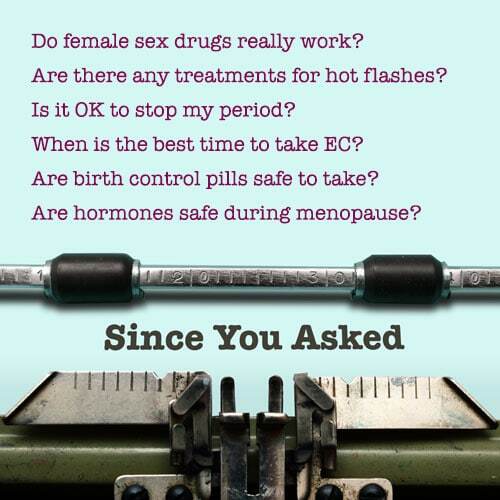 However, we also encourage you to find additional information from patients and advocates via the Essure Problems Group’s website at http://essureproblems.webs.com/ (and the “E-Sisters” Facebook group, https://www.facebook.com/groups/Essureproblems/). You have the right to know the risks of Essure and to advocate for your healthcare. To learn more about about Essure, the E-Sisters’ fight for medical device safety, and how this has led to the product being pulled off the market, catch The Bleeding Edge documentary on Netflix.